OK, once you've mastered that tongue twister you're ready to make one! This is one of the simplest designs but so cute, with lots of room for all of your beach stuff or little things you pick up at garage sales. 1) Create a tube with your fabric by folding it along the long edge, right sides together, and closing the open edge. 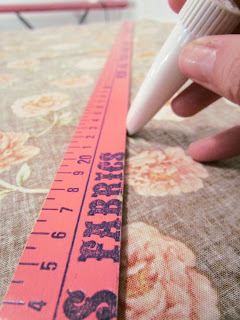 2) With a straight edge, mark a diagonal line from one corner to the other and cut along this line. 3) You now have two large triangles. Hem the two sides. 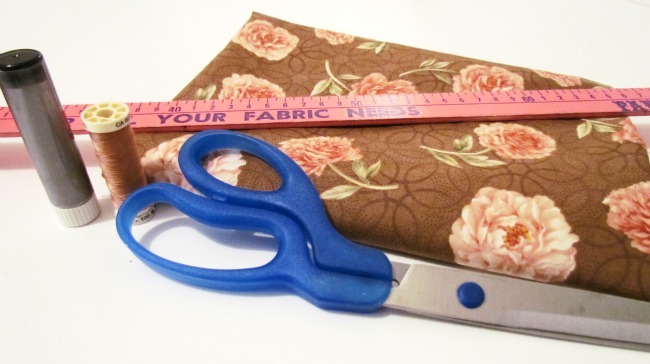 You can just zig zag or serge, turn over, and sew down for the basic purse. I lined mine for a more finished look. 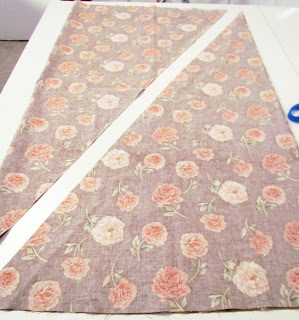 I just followed the first two steps again with contrasting fabric, laying one lining on top of one outside fabric, right sides together, and stitching up the two triangle sides. Just ignore all of this if you're going for the super simple version and do a simple hem. 4) Once your sides are hemmed, lay one triangle on top of the other, lining up the bottoms, and having the bottom point of the left triangle match up with the centre of the right triangle. Pin along the edge. 5) Turn over your triangles and overlap the same way on this side as you did in step four. 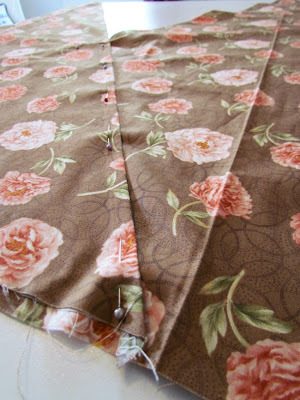 6) Stitch along the edges where the fabrics overlap, attaching the two fronts together. You can continue to the end of the strap if you like. 7) You're almost done, just the bottom to close up. Turn your bag inside out, pin along the bottom. You may need to trim your fabrics to line them up. 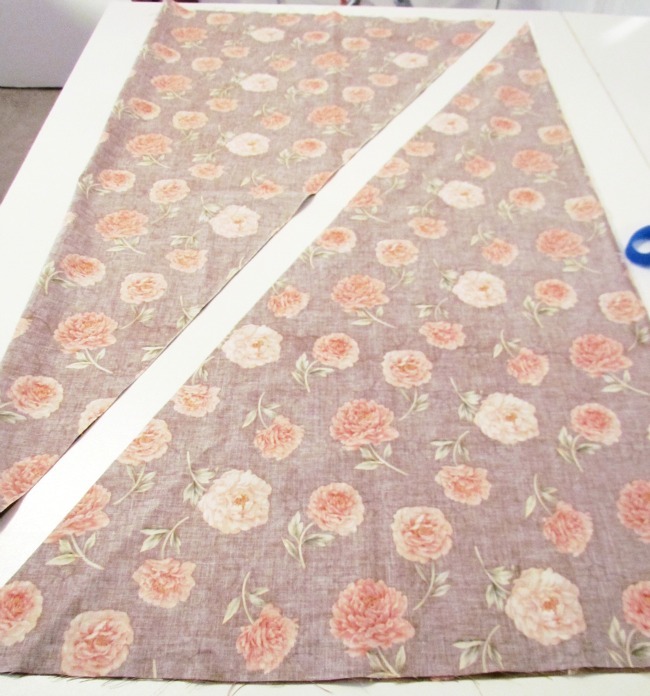 This is normal because when you cut your diagonal lines you cut along the bias of the fabric. That can sometimes cause the fabric to stretch. 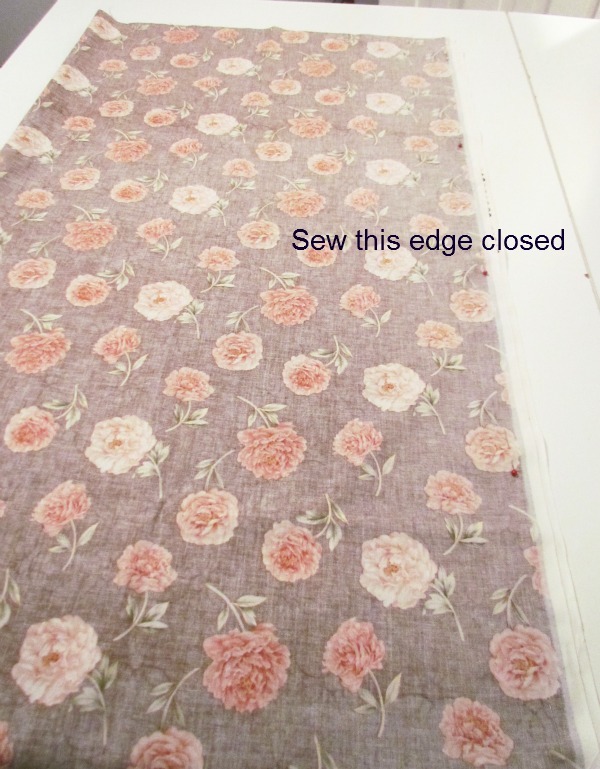 Just trim what you need to, pin, and sew through ALL of the layers of fabric. If you have a serger, serge your hem. 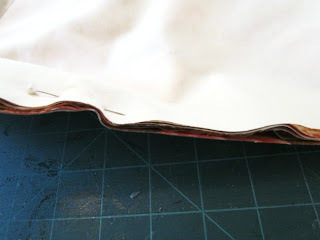 Make sure to cut your corners so that when you turn your bag right side out the corners won't bunch up. 8) Here's what you should have. 9) Just tie the straps, fling it over your shoulder, and away you go! I made another one for my friend Gen who gave me the Vintage Dress and Silk Blouse to transform that you all liked so much. There are sooooo many ways you can make this your own. 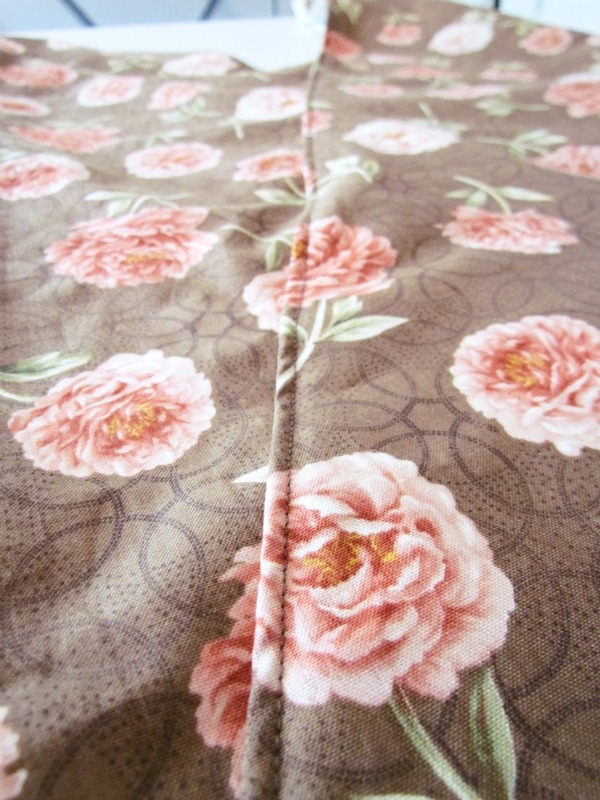 You don't even need to buy new fabric, you can make these using a pillow case if you want. Add some piping or lace along the edges, play with the proportions of your rectangles, add fabric embellishments...the list goes on and on. Have fun with it and check out loads of other great projects on the linky party tab. What an easy and great bag. Thanks for sharing this tute. I will be bookmarking it for the future. Your friend Gen is so lucky to have such a generous and gifted friend! I absolutely LOVE this! Cute and easy, my favorite kind of projects! 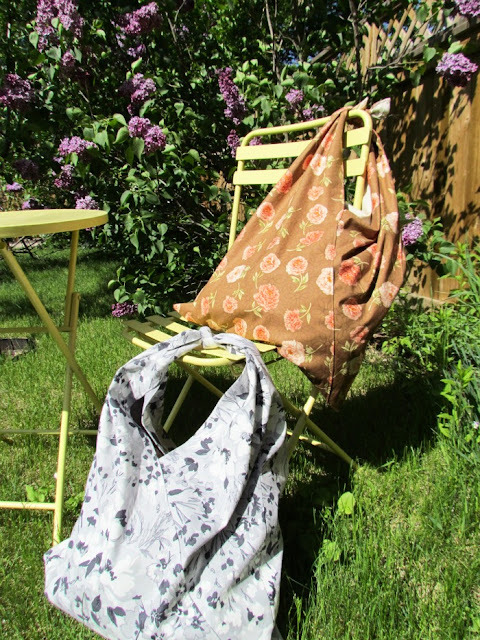 I love these bags and the fabric! Wonderful directions and it is just darling!! Love it. I'm your latest follower. Your tutorial is wonderful! It really is that simple - and so cute! I can even do this... I'd love for you to come and share this at my link party today. Great job! Very fun! Thanks for sharing the tutorial! This is adorable! I am bookmarking this. I'd love to try to make one. Thanks for sharing. Your fabric is darling. This is really cute. I like the floral fabric you chose too. I found you on The 36th Avenue's Let's Party # 5 list. Creative people inspire me and this project is an example so I decided to follow you to see what else you will do. I hope you will follow me back http://talesfrommyjournal.blogspot.com I can be found in facebook too http://www.facebook.com/DeniseMartin.LillaRose and twitter @DeniseLillaRose If you like/follow me there I will do the same for you. When you stop by my blog, please check out my kind of fashion (hair jewelry). I just made 2 of these bags over the weekend. They were so simple and easy! And this is coming from someone who has never sewn more than a few inches to make an ornament or repair a seam! I made one for each of my nieces for their birthdays this summer. They are going to love them. Picture here so you can see how I used 2 different fabrics for each bag. http://branlaadeestitching.blogspot.com/2011/07/sew-busy.html Everyone loves them! They are adorable! After step 2, do we unfold the fabric before hemming? Mary asked me not to post her comments but after re-reading the directions I think she has a good question. The answer is yes, unfold your fabric so that you have two large triangles and then hem the two top sides. Hope this is helpful. There are probably lots of ways to make these bags so if you find an easier method, go for it. Just do what works for you, that's what makes it fun~ Have a great day everyone! Hi, I just found your blog today, and have been reading through it. I admired your bags that you said you'd put on your Etsy site, and wondered just how you made them -- then lo, and behold, later in my perusal of your site, there were the great directions. Thank you so much for you generosity, and I'm admiring your all-around skills! You're very talented, girl! I like this idea....just might make one or two ! Hi, that's a genial ideia, I love that summer bag so much,that I'll try to make one to nmy daugther. Thansk sharing tutorial :). My daughter will love this...that's one birthday gift down. Thanks for sharing. My daughter will love this...there's one birthday gift found...thanks for sharing! Oh.. how fun.. 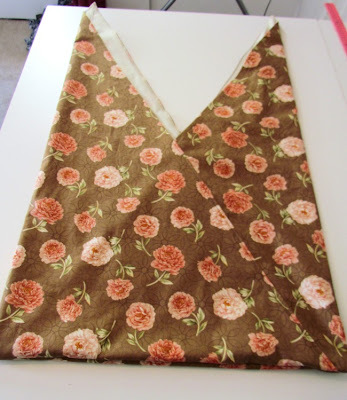 I have a Butterick ( I think it is ) pattern for something very similar .& to think I could have just done it your way. thanks so much for posting . Wow. This is such a quick and easy thing to do. DIY moms and dads are going to love spending their idle time doing this. Gave your sight full credit. Summer sack related post here i am so happy your work here..!Keep it up.! One of the ways I finish the bottoms of my bags is by putting the wrong sides together and sew them together with about a quarter inch seam. Then I turn the bag outside in so that the right sides are together and make a larger seam over the first one. 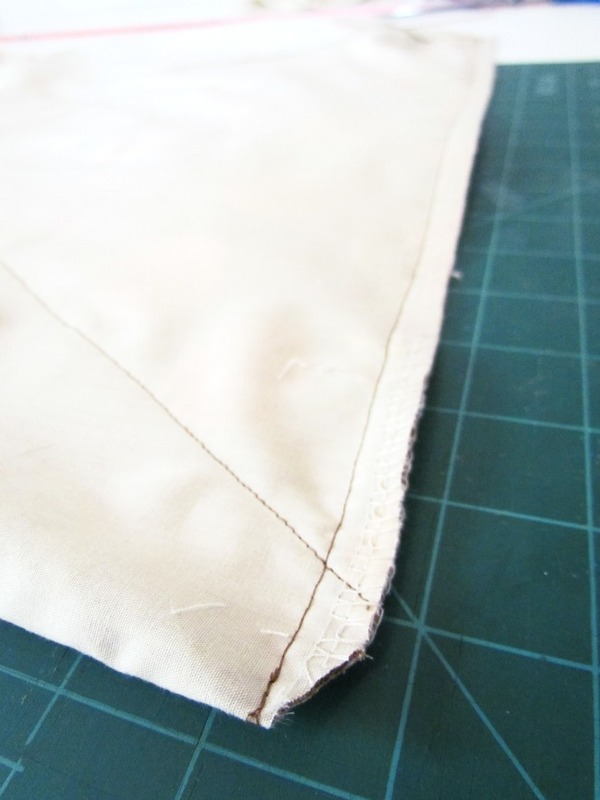 This doubles the strength of the bottom and finishes the seam so you don't see any unfinished edges. New Accessories Section at Etcetorize!